Joining with centuries-old customs of care and community building, Nep Sidhu’s Medicine for a Nightmare (they called, we responded) charts Sikh resilience through memorialization practices. 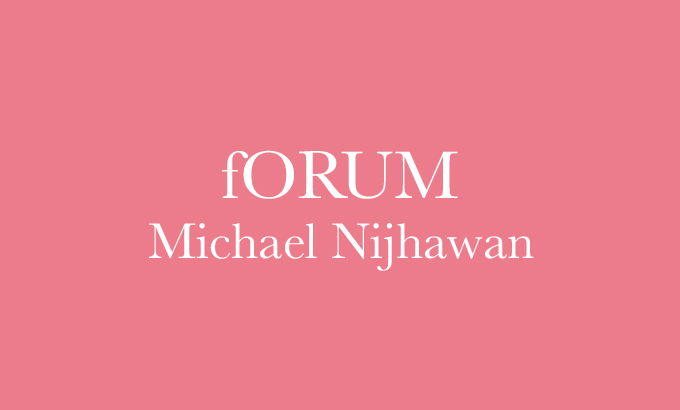 Michael Nijhawan’s presentation will consider how cultural identities can be fostered and amended through artistic practice, proposing a connection between the work of artists, the writing of history and self-understanding. What opportunities does artistic practice offer to speaking across, through and towards difference? What challenges does artistic practice make to inheritance? Michael Nijhawan is a Social Anthropologist and Associate Professor in Cultural Sociology at York University, Toronto. His research has spanned almost two decades of ethnographic work and qualitative sociological research in the area of violence, suffering, religion and migration. Nijhawan has worked on the social memory of India’s Partition in his first monograph in which he focuses on cultural performances in the border region of Punjab (India and Pakistan). His research interest in the areas of art, aesthetics and politics has also sparked collaborative and interdisciplinary work with scholars in Middle Eastern Studies. He subsequently engaged debates around migration and religion with a particular focus on Sikh and Ahmadiyya communities in Europe and North America. In his most recent work The Precarious Diasporas of Sikh and Ahmadiyya Generations: Violence, Memory and Agency he charts the everyday processes of ‘coming to terms’ with (past) violence in diaspora contexts through a cross-generational perspective. fORUM is an ongoing series of talks, lectures, interviews, screenings and performances at Mercer Union.